Protecting yourself at all times during a football game can be a very challenging task. You’ve got to make sure you’re focused on the game but at the same time you also have to make sure to pay attention to what the other players are doing to avoid getting injured. Now, unless you’re wearing one of the Best Football Girdles in 2019, this is going to be tough. And you might miss some things if you’re not entirely focused just because you’re trying to make sure you don’t get hit unnecessarily. So what we’re going to do now is take a look at the Best Football Girdles in 2019 and try to find the right one to wear for you. Since linemen are the ones who need it the most, we’re going to discuss the best football girdle for lineman first and work our way from there. To date, there are only three companies that provide football girdles for men that pro NFL players prefer. These three are Nike, Under Armour and McDavid (in no particular order). Let’s face it, each time you’re headed for the field, you’re going into a war. So, make sure you’re properly dressed for the occasion! 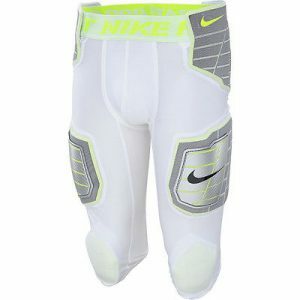 The Nike Pro Combat Hyperstrong is an intimidating suit of armor disguised as a modern piece of sports clothing. It provides the highest level of flexibility which allows players to have free range of movement and has strategically positioned Deflex pads that are dense enough to reduce damage taken from impacts and yet remain quite discrete. 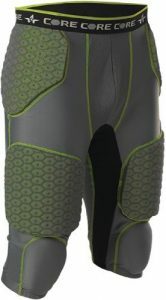 If you’re looking for something even more amazing from Nike, try the Nike Hyperstrong Hard Plate Core Short Girdle. The use of DeTech padding provides a harder form of padding on that girdle! adequate protection due to the somewhat sparse padding found on the product. If you look closely, you’ll see that the padding found on this girdle is actually situated where it should be. Specific areas on the body that receive a lot of damage from external impacts are protected with just enough padding to disperse the force of the blow without adding up to the bulk. To some extent, you’d have to agree that these girdles aren’t suited for positions receiving more punishment than what is absolutely necessary so, these girdles shouldn’t be used by linemen. These girdles are fit for players playing other positions that require a lot of flexibility and freedom of movement. So, receivers, quarterbacks and others can benefit from this girdle. The Under Armour Gameday Armour Max Football Girdle is designed for ultimate comfort and flexibility. It also features heavy pads strategically placed in areas expected to receive a lot of impact. So, expect to see heavy pads on the hips and thighs. Some might say that the heavy padded football girdles create a very bulky appearance but it doesn’t hinder the player’s movements in any way thanks to the 4 way stretch fabric material used in this product. 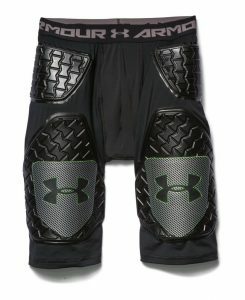 As an alternative, you might want to look into the Under Armour Men’s UA HeatGear Football Girdle which provides a heavier cup if you’re more particular about protecting your vitals. This has a less bulky silhouette but will still protect you where it matters most. Moving on to lesser known brands, you’ll find that there are a lot of manufacturers out there creating girdles that have the potential to outperform what the top three manufacturers are offering. 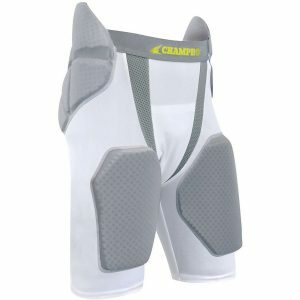 The Cramer Thunder 7 Football Girdle uses a closed cell web EVA foam assembly to provide protection to vital areas on your body. The EVA foam is thick enough to provide protection without adding to the bulkiness of the silhouette thanks to the web formation the pads have. There’s another reason for this aside from it being important to keeping a low profile, the web formation effectively absorbs and disperses the energy of the impact taken. So there is less stress on the areas protected by these pads. The Alleson Athletic Men’s Integrated 7 Padded Football Girdle has a very straightforward design. 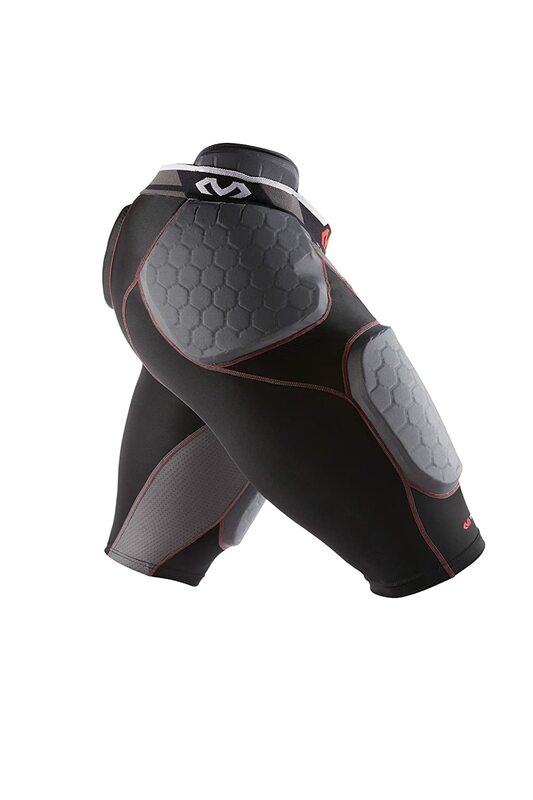 It features a light material all over with thick pads in strategic areas like the hips, thighs and knees. It also provides a good level of compression which helps players prevent muscles from cramping up by enhancing the blood flow during practice or a game. The light material used leaves plenty to be desired as too much stretching eventually leads to fraying. There is also some chafing experienced in the areas where the elastic bands are located. Other than that, this is a pretty good football girdle as it manages to keep you dry and the light material doesn’t add to your overall weight. The Champro TriFlex Integrated Football Girdle may not have the same level of popularity as the other more popular brands but that’s not to say that this is an inferior product. In fact, Champro continues to bag the top awards for best Girdles in the sport. Aside from being highly flexible, the Champro Tri-Flex Integrated Football Girdle comes with adequate padding in areas most likely to receive a lot of impact. So, your hips are covered as well as your thighs. But here’s another nifty addition that you don’t find in most Girdles, your coccyx (or tailbone) is also protected with a light layer of padding! So, you’re protected from all sides. I guess you could say, Champro has your six covered. Or should we say, Champro Tri-Flex Integrated Football Girdle has your coccyx covered! If you go online right now, you’ll be able to see that there are lots of sites with football girdles for sale at great prices. Just remember, you can’t really base a product on the price tag alone but sometimes you also have to shell out the big bucks to get the better quality products in the market today. Also check out the best shoulder pads and helmets reviewed by us for the 2019 season.